If you are a non-native speaker of English, or learning English as a second language, then probably you are searching for the best English course around. This is really important because if you start with a boring course, you give up quickly. There are many many english courses online and offline. Because of the flexibility, I prefer digital courses like the ones I review here. However, I am not not going to talk about a lot of courses. Here I am going to introduce you JUST TWO courses that I think will be helpful for you to master English language. One is mostly for the essentials of the language and the other awesome one is just for practice and improves your fluency in English with a very unique method. What is the best English course for non-native speakers of English? Well, it really depends on many factors such as the English level or the native language of the non-English speaker. There are several specific courses for different nations around the world. This type of courses mainly focus on grammar and try to teach English in a way designed specifically for that nation. On the other hand there are some widely accepted courses that successfully teaches English to people from any nation. However, in this case the starting level of the person is important in order to select the best English course that fits the specific needs of that person. In the next couple of paragraphs, I am going to introduce you the best English courses that I know. Rosetta Stone is the common program based language teaching method these days. This comes through quite huge marketing, but more importantly via mainly living up to what they say about their product. For a lot of people around the world, it is the best English course. Rosetta Stone is effective, if you’re ready to devote enough time and also have the correct expectations. Essentially, Rosetta Stone is a conversation language tutor that gives adaptive learning by means of a growing number of hard pictorial and audio interaction. This interaction builds vocabulary and grammar by introducing new elements while securing the basis of formerly learned materials. It doesn’t substitute for strenuous language reading or grammar studies. However it is an effective tool to get practice and training in how to speak the language the way it is spoken. My interest here is for those who are struggling with decent spoken English for whatever reason. A lot of English language development packages are oriented towards young people. Rosetta Stone, nonetheless, is much more intended for grownups, though not at all improper for young people. That makes it an excellent tool for all ages. A great deal of learning how to speak appropriate English requires practice and training with people who currently speak the language. But unfortunately, in numerous contexts young people and grownups aren’t often close to people who speak with facility. This program offers a good framework for mastering much more consistent speaking patterns that could be important in many any work environment. I believe that makes it ideal for schools or tutors or other people who wish to provide additional resources for practice. 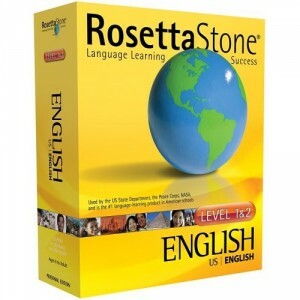 If you are new to English or need some practice, I strongly recommend Rosetta Stone English. If you are familiar with English, or if your English level is something around or above intermediate than you should really consider this course. Because it has a unique approach to teaching English, I cannot emphasize enough the difference of this course. It is mainly about speaking but it teaches you real English and I believe it contributes to your writing and reading, as well. The creator of the course, A.J.Hoge, claims that if you use his method, without focusing on grammar directly, you will be able to speak excellent English in 6 months or less! Many English courses argue that you would learn English in a week or while you are sleeping, each of which sounds crazy, but 6 months sounds like it is actually possible to be true. After hearing “Effortless English”, you can think that this course doesn’t take any effort at all. But you are wrong. You need to study or practice 5 days a week. Everything takes effort, but what A.J. is saying is that his course is fun, interesting and transforms the process of learning English into an enjoyable activity. Actually this course is my favorite and I believe it is the best English course online. I would go with it if I needed to speak fluent English. You can learn more about Effortless English Program here.